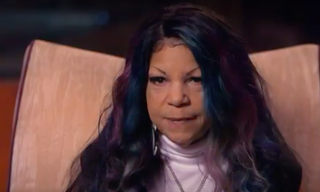 It's been five months since Prince died, and although many of his fans are still coming to terms with his death, Prince's sister, Tyka Nelson, says she's been preparing for it for two years. In an interview with Entertainment Tonight, Nelson spoke about the moment she was notified about his passing. "It was a two-word phone call: 'He's gone.' And I knew who he meant. I hung up the phone. An employee of Prince called. I have been preparing for two years, so I knew that it was coming," Nelson said. Nelson said Prince informed her a couple of years ago that his work was done and that he wouldn't be around much longer. And it took her two years to cope with those words. "He said it a couple of years ago: 'I've done everything that I've come to do,’” she recalled. "I was crushed for about two years." Nelson also put to bed rumors that there has been drama among Prince's siblings when it comes to his estate. She says they meet once a week and just laugh about the rumors and jokingly ask, "What are we fighting about this week?" As Paisley Park prepares to open Thursday as a museum, Nelson wants the world to know that her brother's presence is still there, and she vows to keep his legacy alive. "He's written a massive amount of music, and in one of our conversations, he said, 'How I want to be remembered is as one of the most prolific writers in the world,’” Nelson said. "So I'm going to do everything that I can to make that dream come true."